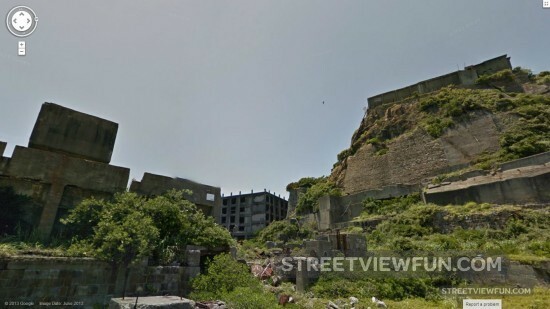 Hashima Island (aka Battleship Island) in Japan was featured in the Bond movie Skyfall as the hideout Dead Island. 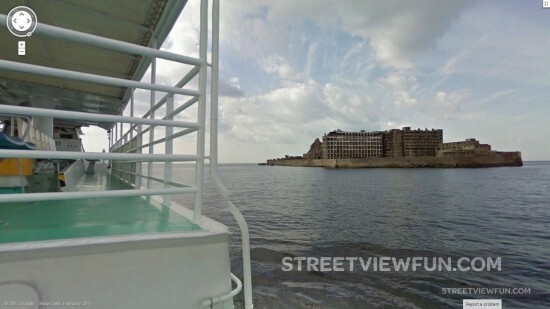 Now Google Street View came to the deserted and creepy island. 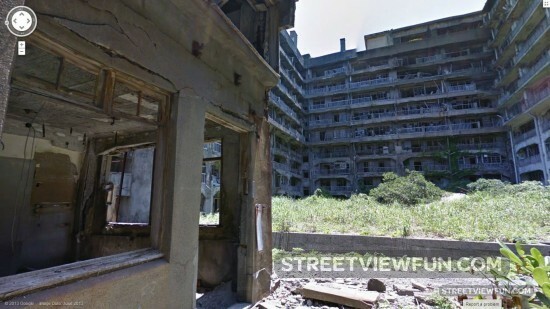 The place concist of destroyed post-war buildings – a ghost town where nobody has lived since 1974. 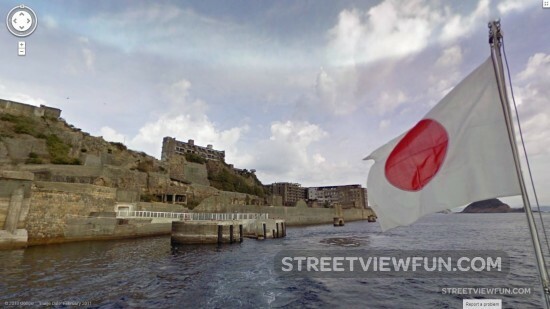 Mitsubishi Corporation own the island and originally used it for coal mining.